Are you interested in serving on the FOWF board? Comments Off on Are you interested in serving on the FOWF board? 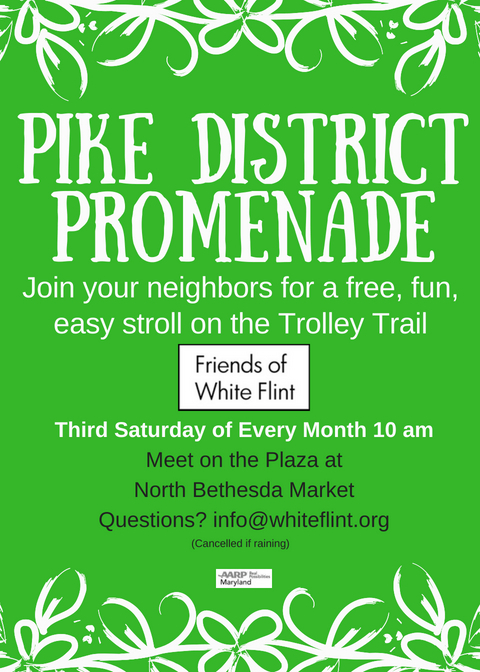 The Friends of White Flint board of directors is composed of six residents, six businesses, and six property owners. The board meets a few times each year and also handles issues via email and telephone. It’s a wonderful opportunity to help transform your neighborhood into a walkable, transit-oriented, smart growth community. If you would like to nominate yourself to serve on the board, please complete the application which you can find below. Please email info@whiteflint.org with your nomination form and your questions. Deadline for nominations is Thursday, November 29, 2018 at 5 pm. By my signature below, I certify the following: I wish to be nominated for this position, I understand my responsibilities as a Director, including full participation in Friends of White Flint governance activities throughout my term in office, and I will fulfill those responsibilities. I am (or represent) a member in good standing and will maintain that good standing throughout my term in office. I understand that nomination does not guarantee placement on the ballot of election to the Board, and that all Board election decisions of the Friends of White Flint are discretionary and final. Forms must be sent to info@whiteflint.org. DEADLINE FOR SUBMISSION: Thursday, November 29, 2018, 5 pm. This entry was posted in FOWF Business and tagged Board of Directors, board of directors nominations. Bookmark the permalink.